Video Marketing Content – How you can be driving video, and not the other way around. In no time, this content will be as integral to your business’s marketing strategy as a website. 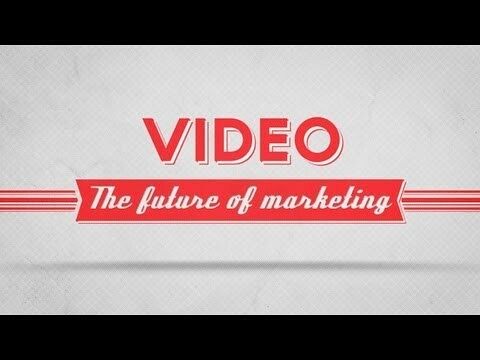 Great, but what does that mean for the video marketing professional? If you have the time, check out Vala Afshar‘s post on How Video Marketing Will Change the Game for Marketers in 2016. The information hasn’t dated, and much of what he says corresponds with what we’re seeing. For those of you short on time, I’ve pulled out some salient points, which will help build up a picture of key developments. Many still think of digital video as viral content on YouTube, video ads on Facebook, and flashy homepage videos that tell a brand’s story (B2C). The most successful brands are expanding their use of video throughout the entire customer journey, which, in turn, is helping build better relationships, educate and convert buyers, and improve customer satisfaction. We’re talking creative campaign videos, which bring light to pain points, to personalised product demos, for both B2B and B2C. Companies are seeing the greatest success with video marketing content that sits closest to new revenue, which includes customer testimonials, 0n-demand product demonstration videos, explainer and tutorial videos, live and on-demand webinars, and events videos. 73% of marketers say that video gets the best ROI. 29% cited the lack of an effective strategy as the reason they didn’t see a larger return. Many companies actually take the “ready, fire, aim” approach when it comes to video marketing; creating random videos before thinking about their strategy. Expect the current approach to change, as businesses discover that video gets the best return and results when it’s tied to a well-planned strategy. 0 Comments to "Video Marketing Content – The Story So Far For Marketers"